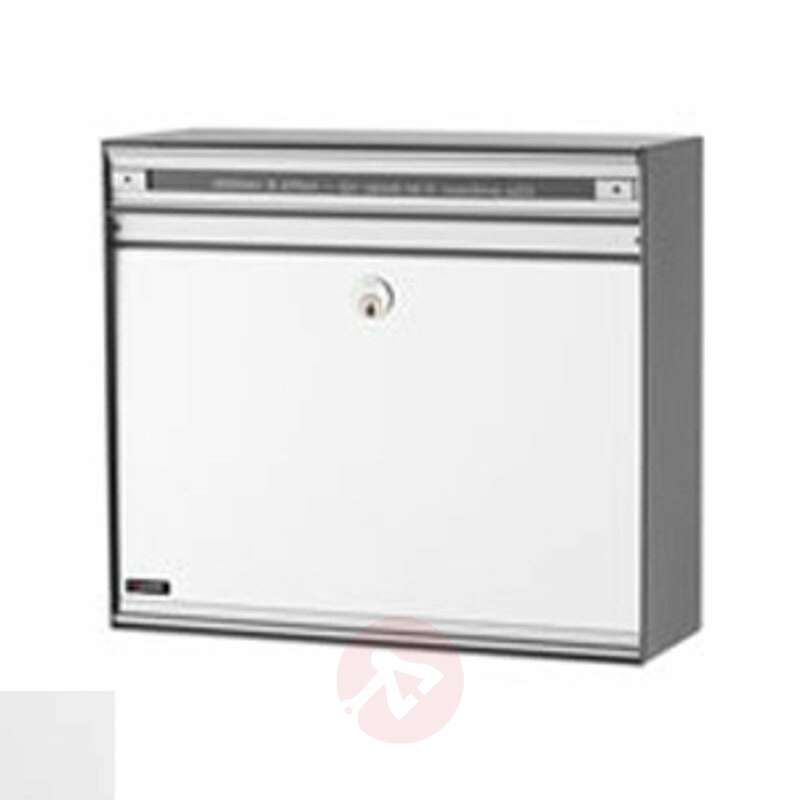 The aluminium front and the powder-coated sides mean the letterbox has a robust exterior in addition to a fashionable and high-quality appearance. The name plate is attached to the flap and the dimensions of 40 cm x 35 cm ensure there is sufficient space even for thicker letters. 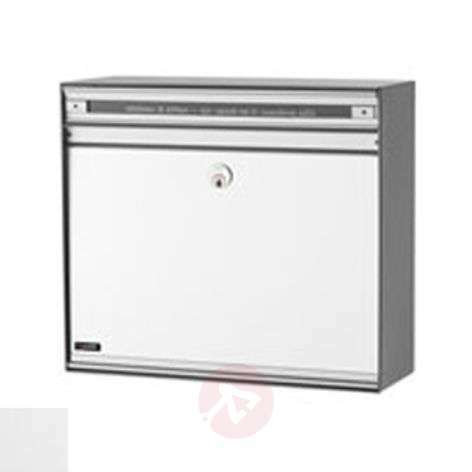 The letterbox's attachment is flexible, which is why it can be used with associated accessories as a wall or standing letterbox as well as for installation in and on walls. 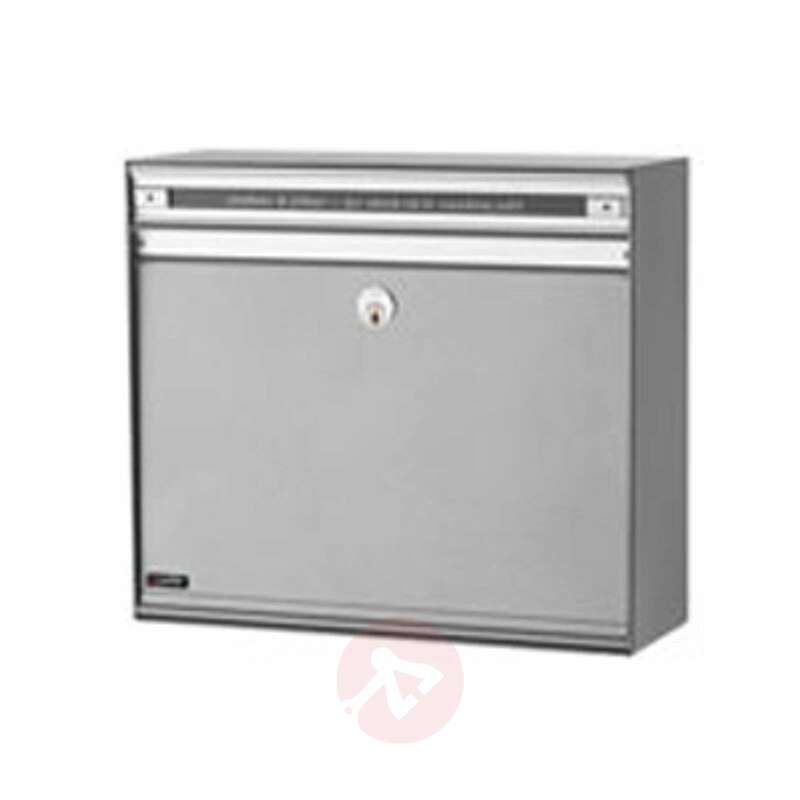 The additional built-in Ruko lock also provides maximum security for the contents of the letterbox, thus protecting it against unauthorized access to private and confidential letters.